NIA CHARLESTOWN NEVIS (July 20, 2016) — The Ministry of Tourism on St. Kitts was applauded by an official of the Ministry of Tourism on Nevis, for their foresight and inclusiveness in a tourism endeavour, initially referred to as the St. Kitts Tourism Week. 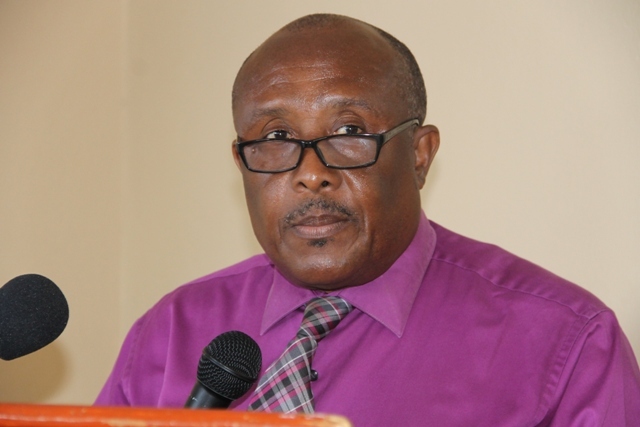 Carl Williams, Permanent Secretary in the Ministry of Tourism in the Nevis Island Administration (NIA), made the comment when he delivered remarks at the St. Kitts and Nevis Restaurant Week Tasting Showcase on July 16, 2016, at the Mount Nevis Hotel. The St. Kitts and Nevis Restaurant Week 2016, commenced on July 13 and concludes on July 24, 2016. During the week, special menus are being offered by participating restaurants on St. Kitts and Nevis at discount prices, celebrating local cuisine with pumpkin as the main ingredient. Williams says their counterparts must be highly applauded for the decision to include Nevis and rebrand the off season event as the St. Kitts and Nevis Restaurant Week. He believes, the approach is consistent with the “two islands, one paradise” used in tourism promotions for the Federations and pledged Nevis’ continued commitment to combined tourism campaigns. “Joint promotion and joint product development can only serve to prove cost effective, achieve economies of scale and improve visitor experience and satisfaction. “The Federal Ministry of Tourism and the Nevis Ministry of Tourism, have embarked on a collaborative approach over the last several years which have seen us working closely in the areas of sustainable tourism, community based tourism, tourism policy development and tourism education. I pledge our continued commitment and support,” he said.